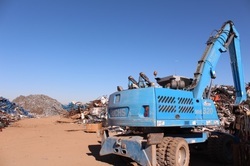 We at Broadway Metal Recycling provide our customers with unparalleled professional service by engaging in open and transparent business practices for long-lasting, environmentally-friendly and mutually beneficial partnerships. 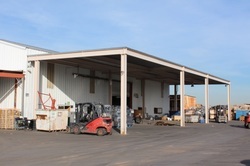 Broadway Metal Recycling is a full-service metal and electronic recycling facility servicing the greater Phoenix and Southwest area. As one of the only R2, ISO 14001, and OHSAS 18001 certified metal recycling facilities in Arizona, we specialize in non-ferrous and ferrous metal recycling, electronic device recycling, and data destruction. 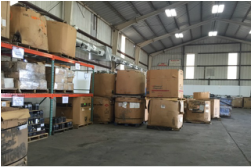 Annually, we purchase millions of pounds of sorted and unsorted metals and electronics, utilize state of the art equipment for recycling and data destruction, and provide our customers with on-time pick-ups, competitive pricing and flexible payment terms. We follow federal, state and local regulations and are certified in multiple accredited international guidelines to limit customers’ liability, ensure our employees’ health and safety, and reduce our global environmental impact. Since 2009, we have leveraged our combined 50 years industry experience to become leaders in responsible recycling practices, a commitment that allows us to service our partners, community and environment as a green metal recycling company.